We highlight the importance of looking for associated injuries after traumatic anterior shoulder dislocation and arthroscopic treatment is a useful option for removing the large intra-articular loose body and repairing of the Bankart lesion. Department of Orthopaedic Surgery, Singapore General Hospital, Academia, Level 4, Singapore 169865, Republic of Singapore. 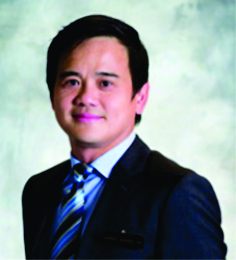 Jason B T Lim, Department of Orthopaedic Surgery, Singapore General Hospital, 20 College Road, Academia, Level 4, Singapore 169865, Republic of Singapore. Introduction: The spectrum of pathoanatomic lesions encountered in anterior shoulder dislocation is broad. There could be a presence of loose bodies, chondral and osteochondral, in the shoulder joint and also concomitant rotator cuff partial tears resulting from acute and chronic shoulder instability. Case Report: We present one case report of a 46-year-old male Chinese with an uncommon case of Bankart lesion, with a full thickness chondral defect over the superior glenoid articular surface manifesting as a large intra-articular loose cartilaginous body. The patient presented with persistent shoulder pain with signs of shoulder instability. 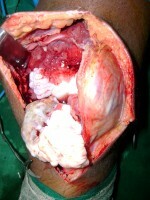 He underwent arthroscopic repair of his Bankart lesion with the removal of intra-articular loose body. We aim to discuss the diagnosis, radiological imaging, as well as, arthroscopic treatment of loose body in the glenohumeral joint due to anterior shoulder dislocation in our report. Conclusion: In our case report, we highlight the importance to identify other associated injuries from the history and examination after an episode of traumatic anterior shoulder dislocation. Arthroscopic treatment is a useful minimally invasive option to remove the large fragment of intra-articular loose body and also repair the Bankart lesion in the same setting. Both of these lesions must be treated as they are crucial for pain relief, as well as stabilizing the shoulder, to prevent further episodes of dislocation. Keywords: Shoulder, arthroscopy, intra-articular, loose body, Bankart. Shoulder stability can be defined as the individual’s ability to maintain the humeral head precisely centered within the glenoid fossa . Anterior shoulder dislocation can cause a tear in the anteroinferior labrum, known as the Bankart lesion, which can occur up to 90% of traumatic anterior shoulder dislocations . The spectrum of pathoanatomic lesions encountered in anterior shoulder dislocation is broad [3, 4]. There could be a presence of loose bodies, chondral and osteochondral, in the shoulder joint and also concomitant rotator cuff partial tears resulting from acute and chronic shoulder instability [4, 5]. We present one uncommon case of Bankart lesion, with a full thickness chondral defect over the superior glenoid articular surface manifesting as a large intra-articular loose cartilaginous body. We aim to discuss the diagnosis, radiological imaging, as well as, arthroscopic treatment of loose body in the glenohumeral joint due to anterior shoulder dislocation in our report. The patient was a 46-year-old male Chinese who was the left hand dominant and works as an air conditioner maintenance person. He fell off a ladder about 2 m in height and onto an outstretched hand with the shoulder in abduction and external rotation. He experienced a giving way of his left shoulder with immediate pain and abnormal contour of his left shoulder with limited range of movement. He went to seek treatment from a traditional Chinese medicine physician who relocated with the shoulder. He did not have other injuries and went to have an orthopedic consultation about one week later due to persistent pain over his left shoulder. On examination, his shoulder contour has normal, with a range of movement of forward elevation up to 160° and abduction up to 160° with pain over his left shoulder. His anterior apprehension, relocation and load and shift test over his left shoulder were positive. His left shoulder has intact neurovascular status. The plain radiographs of his left shoulder (Fig. 1) showed an enlocated shoulder, with a small Hill-Sachs lesion with no other noted abnormalities. His magnetic resonance imaging (MRI), left shoulder showed a preserved glenohumeral joint alignment. There is a recent Hill-Sachs lesion of 0.2 cm, a labral tear with a superior labral anterior-posterior component. There is an associated glenoid articular injury at the anterosuperior quadrant with a cartilage defect of 0.7 cm and the underlying glenoid has no significant bony deficiency (Fig. 2). His rotator cuff tendons are intact. He underwent arthroscopic treatment for his left shoulder about one-month post-injury. After induction of general anesthesia, he was placed in a bench chair position with his left shoulder prepared and draped in a sterile manner. A standard posterior viewing arthroscopic portals were established approximately 2 cm inferior and 1 cm medial to the acromial angle. Two anterior arthroscopic portals were made using the outside-in technique with a spinal needle to establish the most appropriate placements of the cannula. A complete diagnostic arthroscopy was performed through the portals to assess the glenoid labrum, capsule, rotator cuff, and humeral head. The arthroscopic findings include a left shoulder Bankart lesion from 6 to 10 o’clock, a full thickness glenoid cartilage lesion at 10-12 o’clock about 1.5 cm in length and 0.7 cm in breadth and exposing the underlying glenoid bone (Fig. 3). The lesion presents as an intra-articular loose body but has preserved capsulolabral attachment. There was a small Hill-Sachs lesion noted and the rotator cuff tendons were intact. We removed the glenoid cartilage lesion piece meal through the anterior arthroscopic portal. Subsequently, the Bankart lesion was mobilized from the anterior glenoid surface using a periosteal elevator, and the glenoid neck was abraded using a rasper. Three suture anchors were utilized for the soft tissue labral attachment to the glenoid bone. By repairing the labral tear, we aim to recreate the labral bumper effect, reestablish the concave compression effect as well as tensioning the inferior glenohumeral ligament. Post-operatively, the patient was placed in an arm sling for 6 weeks. He was allowed to do pendular motion exercises for the first 3 weeks. He was subsequently allowed to elevate his left elbow to shoulder level (forward active flexion to 90°) from the 3rd to the 6th week. He has good symptoms of pain relief with full shoulder mobilization was allowed after 6 weeks. The presence of intra-articular loose bodies, chondral or osteochondral lesions, in the shoulder are uncommon. When present, the source of the loose body must be sought for as there may be concomitant lesions in the presence of the intra-articular loose body. During an acute traumatic dislocation, the extreme force can also lead to the shear of the peripheral edge of the chondral surface adjacent to the anteroinferior glenohumeral ligament. With repeated episodes of recurrent traumatic anterior instability, there may be associated chondral blunting and erosive abrasion . Chondral or osteochondral Hill-Sachs lesion is often found in patients (up to 88.1%) with anteroinferior shoulder dislocation . Osseous or chondral injury of anteroinferior glenoid is also frequently noted the traumatic dislocation group . Synovial osteochondromatosis has been used to describe intra-articular osteocartilaginous loose bodies. Milgram has classified synovial osteochondromatosis into three main categories , loose bodies arising from osteochondral fractures , degenerative arthritis or avascular necrosis causing fragmentation of joint surface or fracture osteophytes, and  primary synovial osteochondromatosis . The intra-articular loose body can occur in about 16% of patients with acute or chronic anterior shoulder instability in a study by Yiannakopoulos et al. . Typically, the location of the chondral lesion occurs at the peripheral glenoid articular cartilage adjacent to the anteroinferior glenohumeral ligament . For patients with chronic shoulder instability, they have more frequent secondary intra-articular injuries as compared with acute shoulder instability, due to the result of repeated dislocation or subluxation episodes causing injury to the glenohumeral articular surfaces . These cartilaginous loose bodies (secondary synovial chondromatosis) have the potential to enlarge due to proliferation of connective tissue cells and subsequent cartilaginous metaplasia and become very symptomatic. Thus, most authors in the literature [4, 8, 9, 10, 11, 12] have recommended the removal of loose bodies in the glenohumeral joint to ameliorate the symptoms. Depending on the size of the chondral loose bodies, removal can be performed through an arthrotomy, arthroscopy with mini-open arthrotomy, or arthroscopy. Patients with an intra-articular loose body can typically present with persistent shoulder pain, which is similarly reported in our patient with both persistent pain as well as shoulder instability due to the intra-articular loose body and Bankart lesion, respectively. Several useful imaging modalities for traumatic shoulder dislocation include MRI as well as magnetic resonance (MR) arthrography of the shoulder. Shankman et al. report that the MRI findings can include a tear of the anteroinferior labrum with the presence of an adjacent chondral injury varying from a small, depressed osteochondral injury to a large chondral flap tear with resulting loose cartilaginous bodies. In MR arthrography, the contrast material typically fills the chondral defect or extends beneath the torn articular cartilage, undermining the chondral flap . Typically, the loose body may be associated with the peripheral glenoid articular cartilage avulsion adjacent to the anteroinferior glenohumeral ligament in the event of the shoulder dislocation. In our case report, we describe an uncommon location of a large intra-articular loose body with a concomitant Bankart lesion. We speculate that with a fall from height with an abducted and externally rotated arm his humeral head had likely migrated superiorly and impacted on the glenoid creating the large chondral loose body from the superior glenoid articular cartilage, which is an atypical location, before dislocating anteroinferiorly with a Bankart lesion. Typically, months after a traumatic shoulder dislocation, clinicians would expect a gradual resolution of pain symptom with more apparent symptoms of instability. However, in this case, the patient reports of atypical persistent pain over his left shoulder on movement with positive signs of instability on examination of his shoulder, which highlights the possibility of other concomitant injuries. With the use of plain radiographs, it would not be possible to visual the chondral lesion. Only with the utilization of more advanced imaging modalities such as MRI, we were able to visualize the Bankart lesion with a concomitant intra-articular loose body. From the imaging, the source of the intra-articular loose body as well as other lesions associated with the loose body must be determined carefully pre-operatively to aid the surgical management. We highlight the importance to identify other associated injuries from the history and examination after an episode of traumatic anterior shoulder dislocation. Arthroscopic treatment is a useful minimally invasive option in this case to remove the large fragment of the intra-articular loose body and also repair the Bankart lesion in the same setting. Both of these lesions must be treated, as they are crucial for pain relief, as well as stabilizing the shoulder, to prevent further episodes of dislocation. History and examination together with MRI after traumatic anterior shoulder dislocation are important to identify concomitant injuries. Arthroscopic treatment is a useful option to remove a large fragment of the intra-articular loose body together with the repair of the Bankart lesion. 1. Lazarus MD, Sidles JA, Harryman DT 2nd, Matsen FA 3rd. Effect of a chondral-labral defect on glenoid concavity and glenohumeral stability. A cadaveric model. J Bone Joint Surg Am 1996;78(1):94-102.1. Lazarus MD, Sidles JA, Harryman DT 2nd, Matsen FA 3rd. Effect of a chondral-labral defect on glenoid concavity and glenohumeral stability. A cadaveric model. J Bone Joint Surg Am 1996;78(1):94-102. 2. Owens BD, Nelson BJ, Duffey ML, Mountcastle SB, Taylor DC, Cameron KL, et al. Pathoanatomy of first-time, traumatic, anterior glenohumeral subluxation events. J Bone Joint Surg Am 2010;92(7):1605-1611. 3. Lazarus MD, Harryman DT 2nd. Complications of open anterior stabilization of the shoulder. J Am Acad Orthop Surg 2000;8(2):122-132. 4. Yiannakopoulos CK, Mataragas E, Antonogiannakis E. A comparison of the spectrum of intra-articular lesions in acute and chronic anterior shoulder instability. Arthroscopy 2007;23(9):985-990. 5. Howell SM, Galinat BJ. The glenoid-labral socket. A constrained articular surface. Clin Orthop Relat Res 1989;243:122-125. 6. Zhu W, Lu W, Zhang L, Han Y, Ou Y, Peng L, et al. Arthroscopic findings in the recurrent anterior instability of the shoulder. Eur J Orthop Surg Traumatol 2014;24(5):699-705. 7. Milgram JW. Synovial osteochondromatosis: A histopathological study of thirty cases. J Bone Joint Surg Am 1977;59(6):792-801. 8. Shankman S, Bencardino J, Beltran J. Glenohumeral instability: Evaluation using MR arthrography of the shoulder. Skeletal Radiol 1999;28(7):365-382. 9. Yucel B, Mutlu S, Komur B, Mutlu H. Arthroscopic removal of giant loose bodies in the glenohumeral joint. 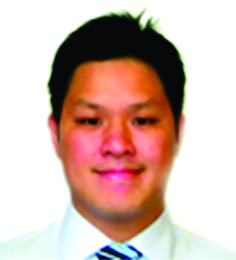 Int J Surg Case Rep 2014;5(8):459-461. 10. Ranalletta M, Bongiovanni S, Calvo JM, Gallucci G, Maignon G. Arthroscopic treatment of synovial chondromatosis of the shoulder: Report of three patients. J Shoulder Elbow Surg 2009;18(3):e4-e8. 11. Urbach D, McGuigan FX, John M, Neumann W, Ender SA. Long-term results after arthroscopic treatment of synovial chondromatosis of the shoulder. Arthroscopy 2008;24(3):318-323. 12. Kavaja L, Pajarinen J, Sinisaari I, Savolainen V, Björkenheim JM, Haapamäki V, et al. Arthrosis of glenohumeral joint after arthroscopic Bankart repair: A long-term follow-up of 13 years. J Shoulder Elbow Surg 2012;21(3):350-355. How to Cite This Article: Lim JBT, Tan AHC. 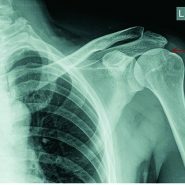 Intra-articular Loose Body with Concomitant Bankart Lesion after a Traumatic Shoulder Dislocation: A Case Report. Journal of Orthopaedic Case Reports 2017 Mar-Apr;7(2):66-69.